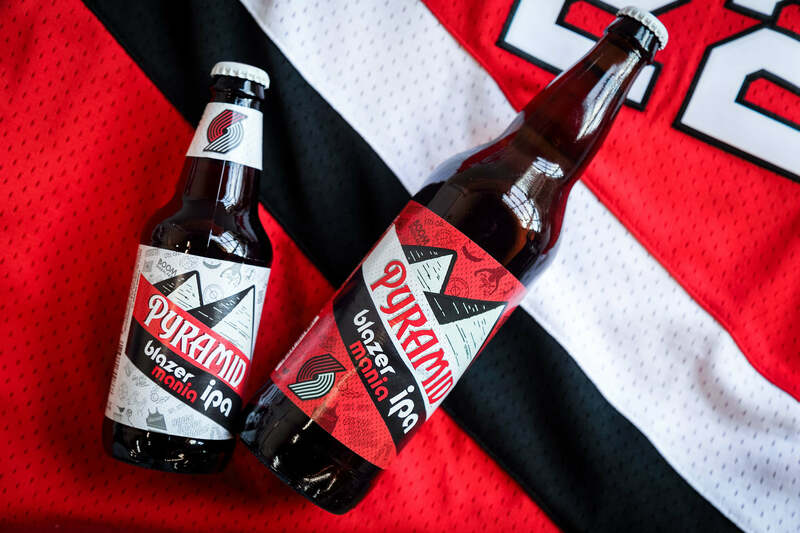 As part of an ongoing collaboration with one of the Northwest's original breweries, Pyramid Brewing, we recently helped them the design and launch of a limited beer for the Portland Trail Blazers. 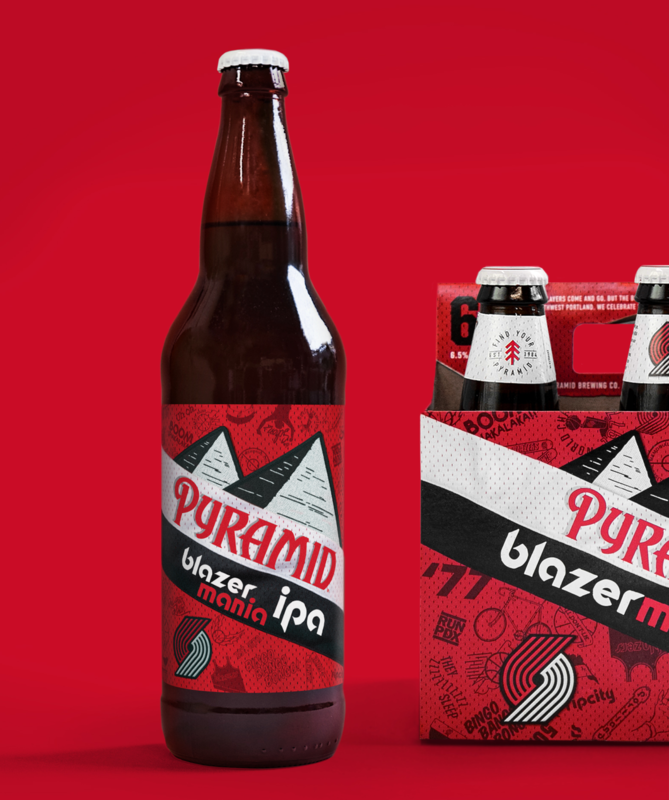 Our work with Pyramid for the 2017-18 season celebrated Portland's notoriously obsessive fans and was an ode to present and historical symbols and iconography that Blazer fans in Portland and beyond would recognize and celebrate. 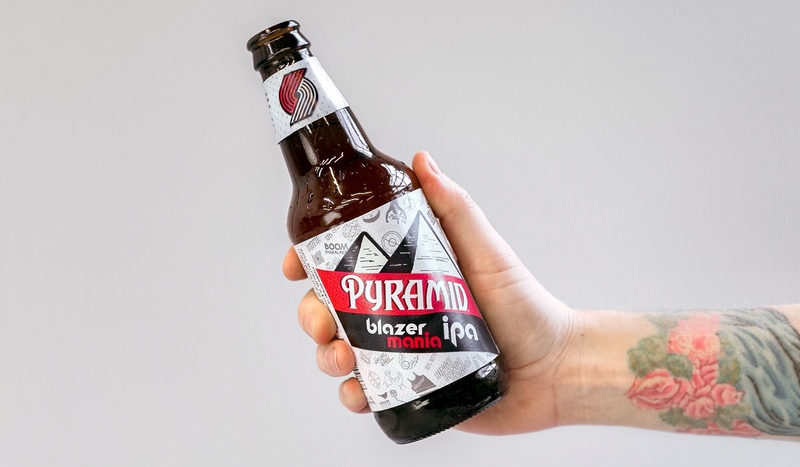 Many of us in the studio are life long Blazer fans ourselves, so when it came time to develop the packaging art, we dipped in to our deep well of blazer-knowledge creating a tapestry of icons that referenced the nearly forty years of Blazer lore. 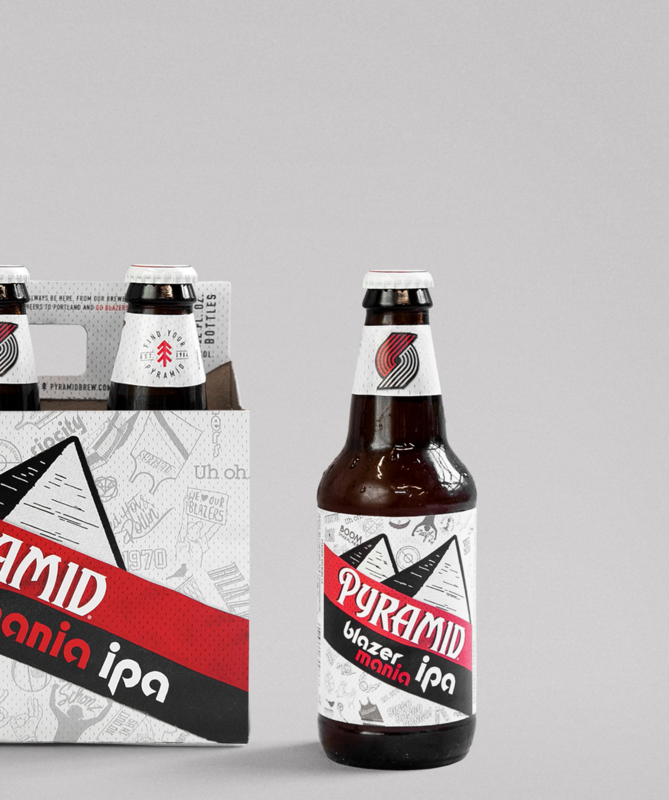 Our visual language was developed to stretch beyond packaging. We helped ideate and design a series of social engagements, retail displays, kiosk graphics and fan give-aways. 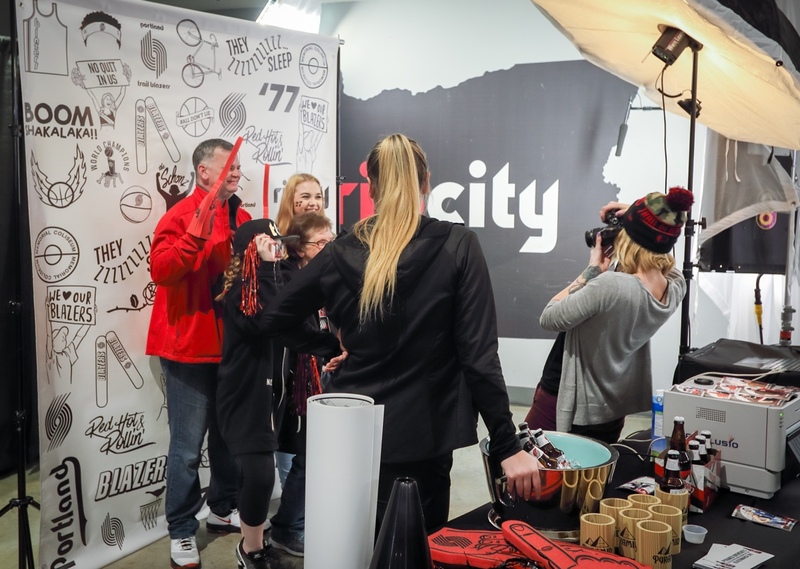 Our identity was also used for activations and engagements at various retailers and the Moda Center, home of the Trail Blazers.